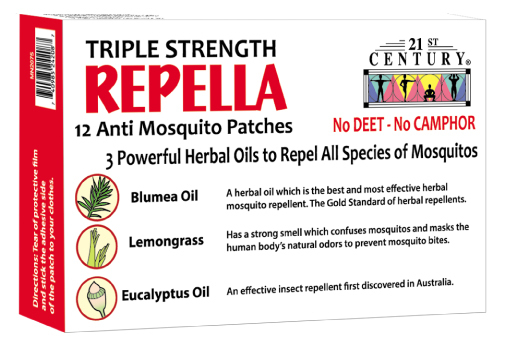 21st CENTURY's powerful herbal Anti-Mosquito Patch With Blumea Oil * Lemongrass Oil * Eucalyptus Oil - 3 in 1 anti mosquito repelling action. The ultimate patch! Works! 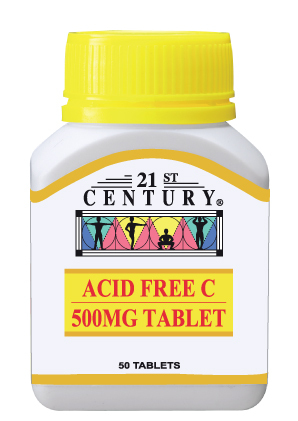 12 Long Lasting Patches Per Box 14 hours repellent action per patch 168 hours protection per box Stick a patch anywhere on your clothes No Camphor* No DEET* SAFE FOR INFANTS & CHILDREN 100% Natural Protection Against Zika, Dengue and Malaria. 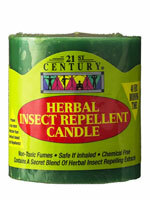 It also repels cockroaches, ticks, fleas and sand files. 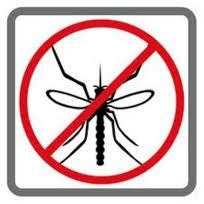 Our patented patches are deet and camphor free. 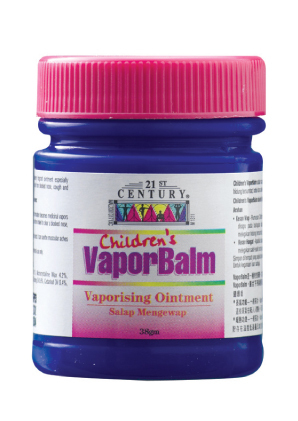 Because Camphor if inhaled or applied on the skin can cause birth defects in unborn children according to the American Academy of Family Physicians. 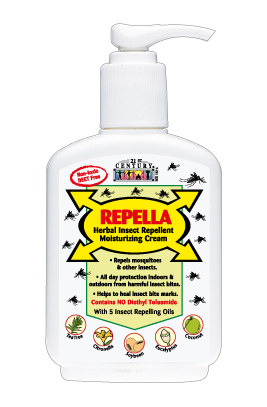 Camphor based insect repellent cream when applied on the skin is easily absorbed into the body, thus harming the unborn child. It is easy to use, you can stick the patch anywhere....Furniture, fan, baby's stroller, car booth and even on your shirt ! 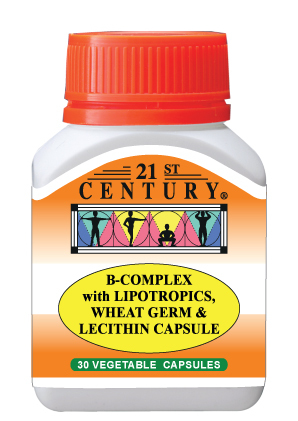 Active Ingredients -Blumea Oil - Lemongrass Oil -Eucalyptus Oil Mechanism of action 21st CENTURY's Anti-Mosquito Patch is the result of an advanced scientific research combining Blumea Oil, Lemongrass Oil and Eucalyptus Oil. 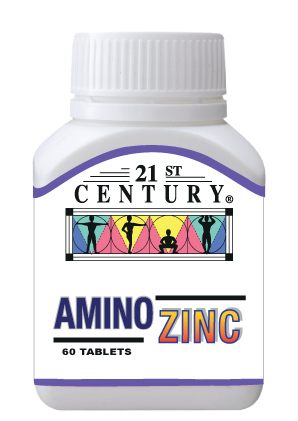 The formulation of 21st CENTURY's Anti-Mosquito Patch has the powerful repelling activity of expensive Blumea Oil - known as the gold standard of mosquito repellants. 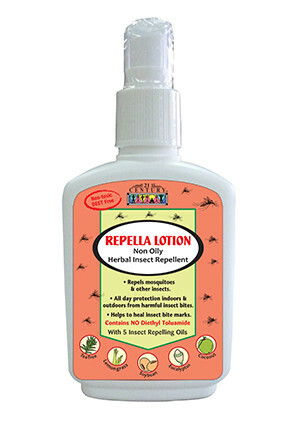 Plus just to be more than sure we added Lemongrass Oil, a well tested Asian insect repellent and from Australia the eucalyptus oil used by the native Australians to keep away mosquitos, midges and all types of flying pests. 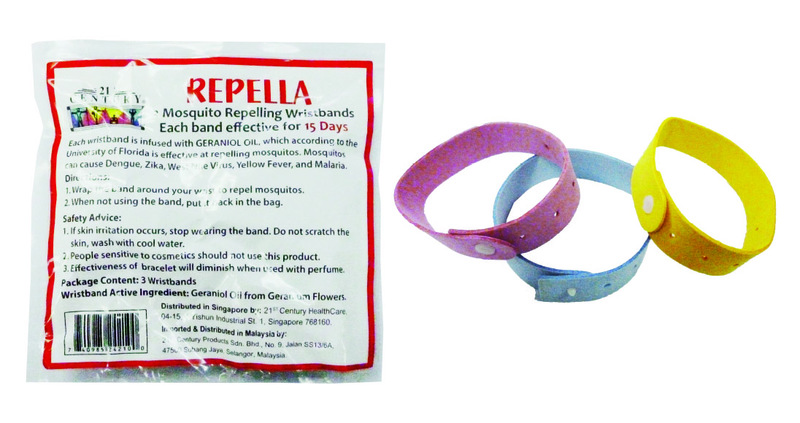 The mosquito repellent patch releases a unique fragrance that repulses mosquitoes and other flying insects, for hours and hours. So protect yourself and your children by sticking a patch on their clothes before you step out of your house AND even when you are in your house - sometimes you get more mosquito bites in your house from mosquitoes bred from your neighbour's house! So why get Zika, Dengue or Malaria when all you need to do is to stick a patch on your shirt or blouse when you wake up in the morning. Each patch is good for 14 hours.